In general, placement depends on the overall proficiency of the student and on what was accomplished in previous French courses. A student entering KU with no previous French should enroll in FREN 110. Students with past course work/experience in French should take a placement test before enrolling. This can be done in EGARC, (4070 Wescoe Hall) or online. After completing the placement test, students should email their scores to the French Language Coordinator in the Department of French and Italian to determine which French course is appropriate. 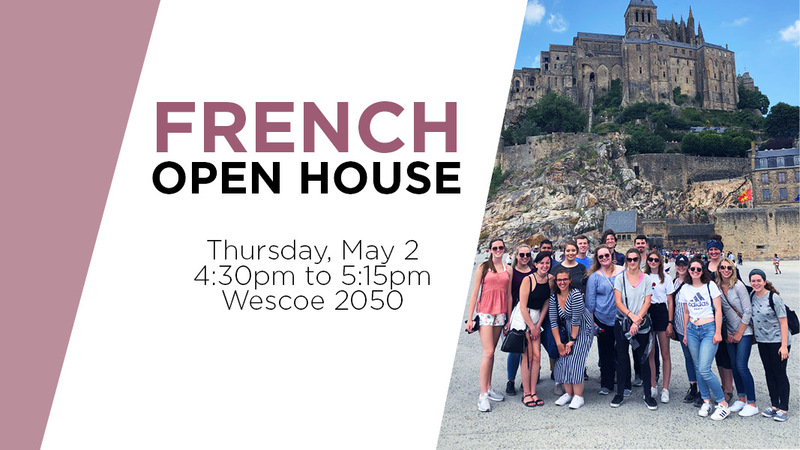 Students needing proficiency examinations for study abroad programs, the Dean's Certificate in International Business, or graduate school requirements should also contact the French Language Coordinator, to arrange for the necessary testing. In general, placement depends on the overall proficiency of the student and on what was accomplished in previous Italian courses. A student entering KU with no previous Italian should enroll in ITAL 110 or ITAL 155. Students with past course work/experience in Italian should contact the Italian Language Coordinator in the Department of French and Italian to determine which Italian course is appropriate for his or her level. Students needing proficiency examinations for study abroad programs, the Dean's Certificate in International Business, or graduate school requirements should also contact the Italian language Coordinator, to arrange for the necessary testing.